Cet appartement confortable et pratique a des fenêtres dans toutes les chambres, bien qu'aucun d'entre eux donne la rue bruyante. L'appartement se compose d'un salon meublé avec un coin spacieux et confortable, fauteuil et canapé de télévision de 50 pouces. Le canapé convertible en lit double confortable lorsque cela est nécessaire. La salle à manger a une table extensible pouvant accueillir jusqu'à six personnes. 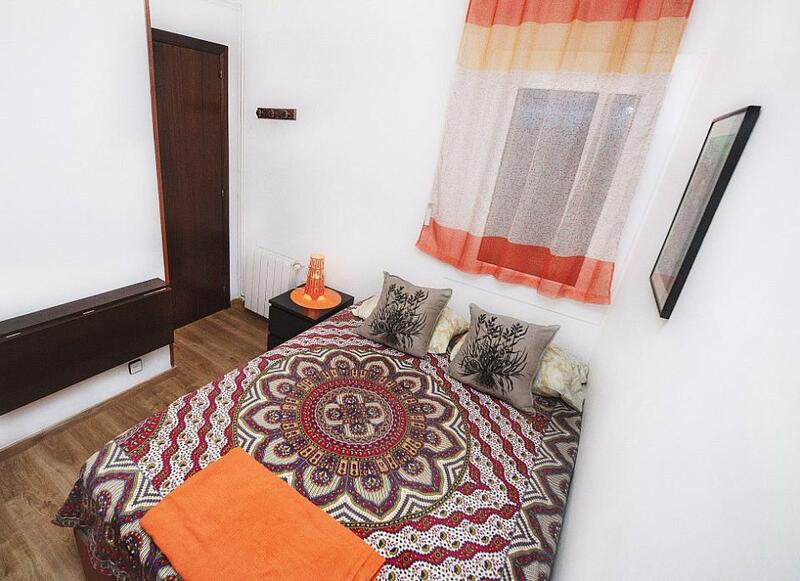 Les chambres sont équipées de placards spacieux et confortables. Deux d'entre eux ont un lit double (135cm) et l'autre un lit simple (90cm) et un lit supplémentaire (90cm). Tous les deux ont un modèle de couleur originale et spéciale. 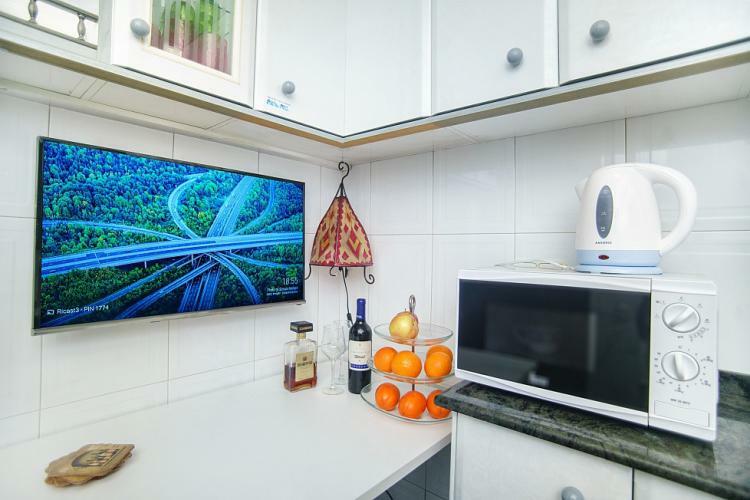 Vous apprécierez la cuisine moderne entièrement équipée avec une salle à manger séparée et d'une télévision 32-inch, parfait pour un petit-déjeuner rapide ou pour le thé l'après-midi. La buanderie attachée à la cuisine équipée d'un réfrigérateur, lave-linge et sèche-linge. La salle de bain a été récemment rénové et comprend une grande douche avec portes en verre. 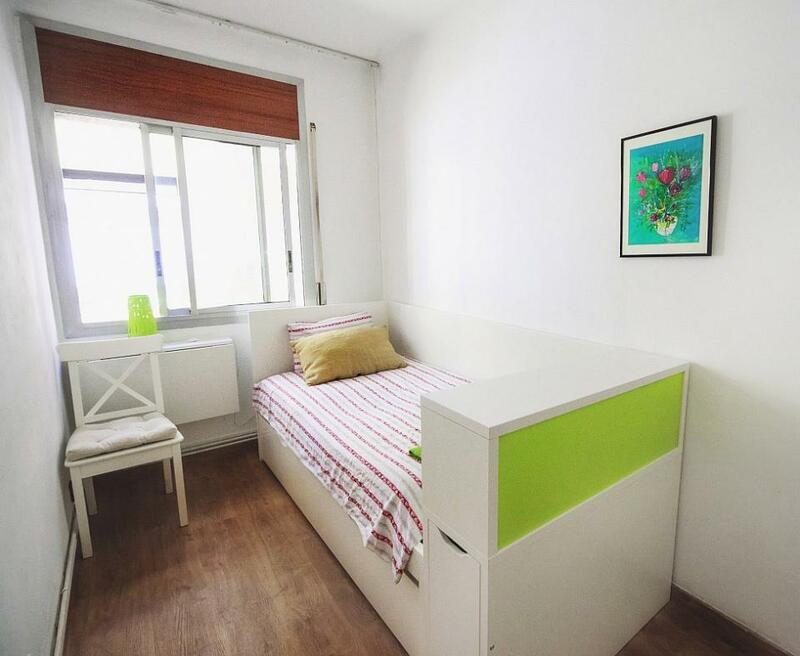 L'appartement se trouve à quelques pas de la station de métro Poble Sec, avec accès à la rue commerçante Paseo de Gracia, la Plaza Catalunya et le port animé de Barcelone. A une courte distance se trouve la Plaza Espagne, la Fontaine Magique et la Fira de Barcelone. Poble Sec un quartier dynamique connu pour ses cuisines différentes, en particulier snack-bars merveilleux Blai Carrer. familles préférées. Si vous réservez pour plus de 3 adultes, s'il vous plaît contacter le propriétaire pour approbation préalable. 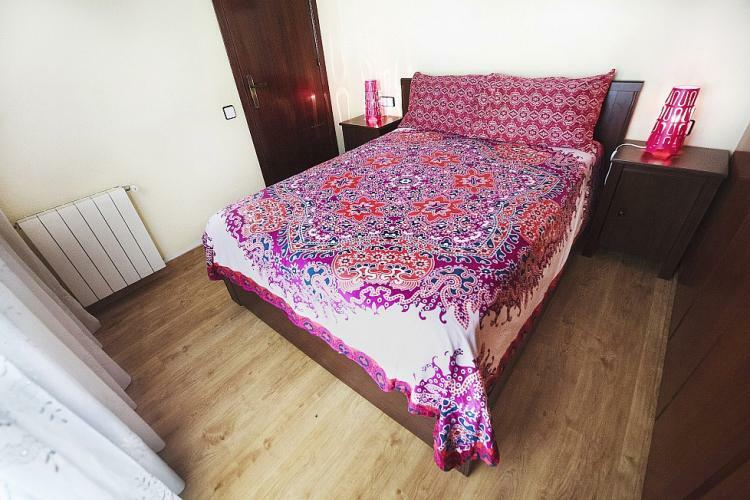 We loved our stay in Poble Sec, and we had walking distance to everything. Great visit! 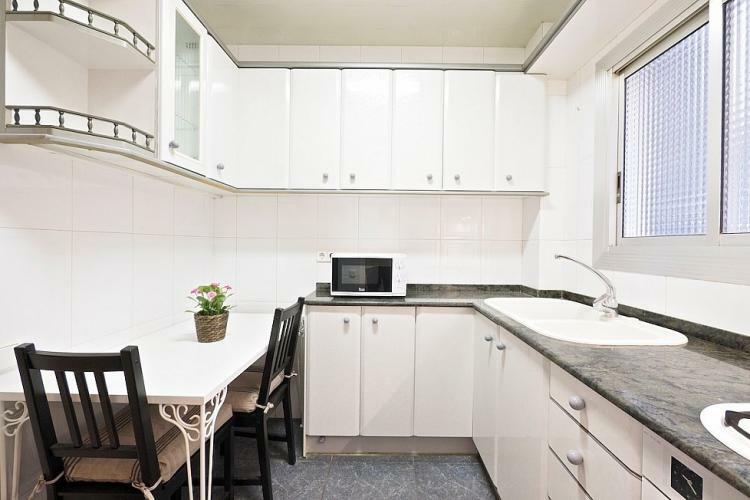 Excellent 3 bedroom apartment in Poble Sec. Great location just off Av. Del Parallel. Metro station is just a few steps away from the building’s entrance, which is a huge plus for easy transportation to anywhere in Barcelona. 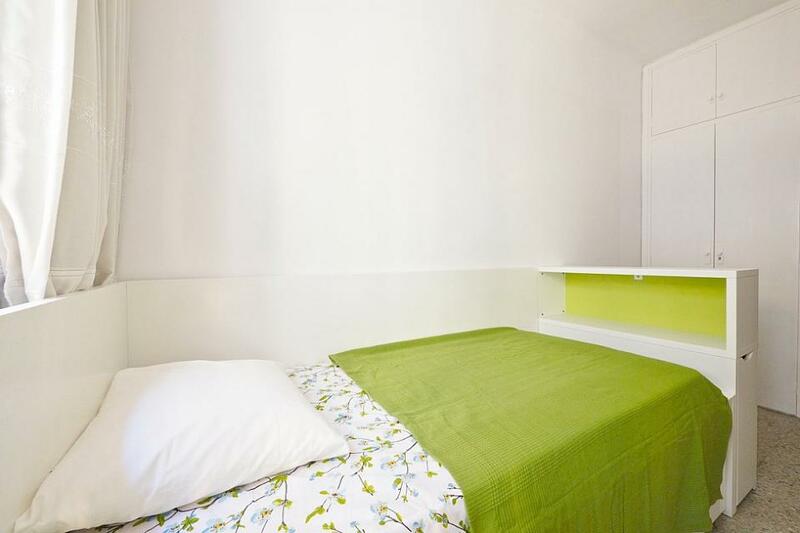 Location is close to Placa Espagna, where you can take the AeroBus to/from Barcelona Airport. Lots of cafes, pastry shops, tapas bars and restaurants near the apartment, grocery store conveniently located across the street, if you need to stock up on a few items, night life and entertainment close by. 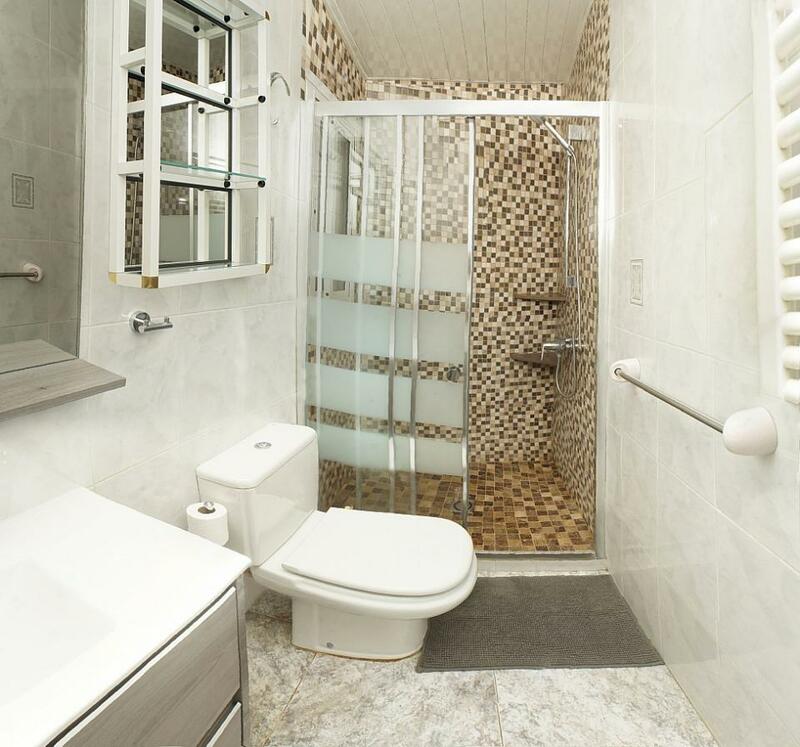 Many major tourist attractions are within walking distance or a very short bus or metro ride. The apartment is on the 3rd floor in building with elevator. It’s air conditioned, clean and very comfortable. High speed wifi will keep you in touch with the world at no extra cost. A very relaxing home away from home. We stayed in November 2016, travelling as a couple. 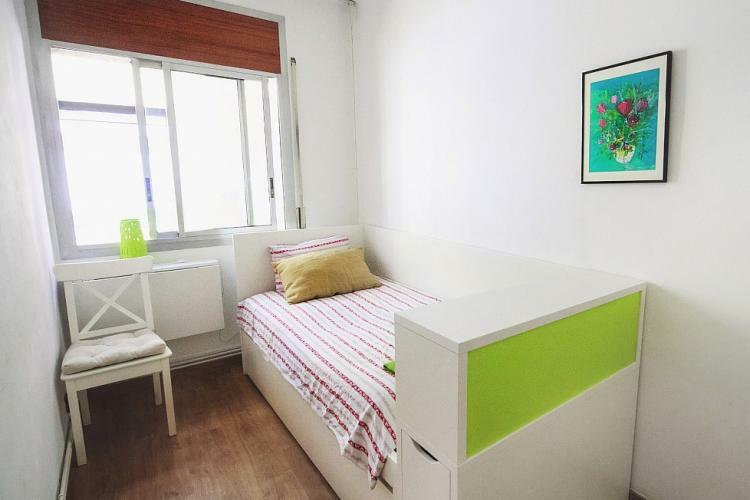 Barcelona is a bustling, beautiful city and the apartment is in the middle of it all. Highly recommended. Loved our stay in 2016 ! 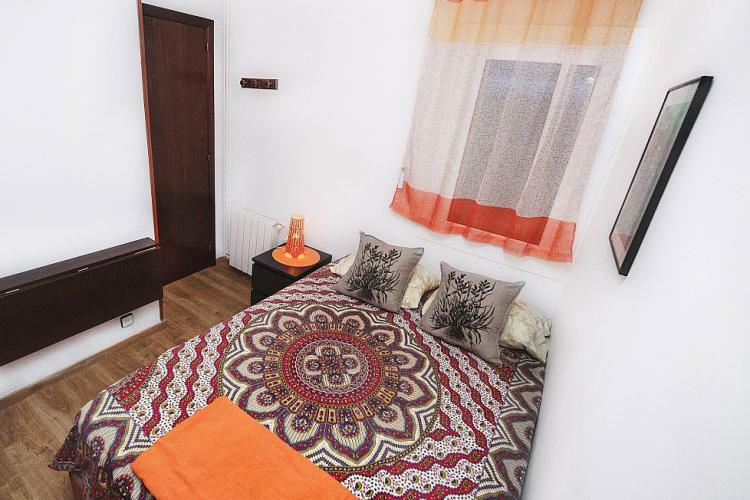 located in center of Barcelona, walking distance to mostly everything + subway is a block away ! apartment faces a lovely court yard - not the street - really quiet ! and has a small balcony out of main bedroom ! amenities include a small kitchen (w/small tv! loved it) w/all bells and whistles ! 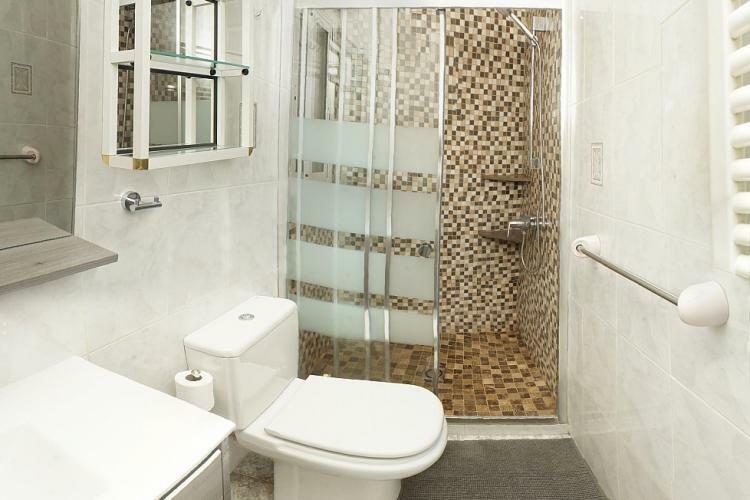 3 bedrooms and full bath (shower only!) living room has a large screen TV w/chromecast / WIFI ! was surprised to see a drier on top of the washing machine ! we liked it so much ! planning another trip later this year - if available ! great experience ! Hi David Silber, you can not imagine how happy we are to know that you are already planning your next trip! We would be glad to give you accommodation. Thank you for your feedback and for choosing our apartment. We had an absolutely wonderful stay at the apartment. The apartment is well maintained and furnished. Everything in it is brand new, well maintained and spotless. 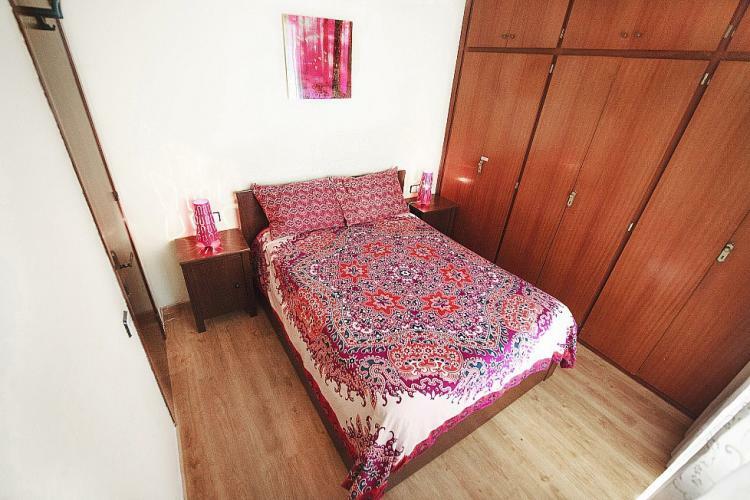 All three bedrooms have comfortable beds and plenty of closet space to keep your bags and belongings. One of the bedrooms has a balcony as well. The bathroom is clean and new. There is a living area with a sofa and a dining area with a dining table, as well as a fully equipped kitchen and a washer-dryer. We went in the winter so it was cold but the apartment has heating in every room which works great. The place has a very nice decor and is homely and comfortable. The apartment is well equipped, with high speed internet and Wifi which gave us great internet speeds throughout the house. There is also a flat screen TV equipped with a Chromecast. The best thing about this place is its central location to everything. The neighborhood has a lot of character and history - it's Barcelona after all! The place is right next to the Poble Sec metro station. It is within walking distance to a lot of places that you will want to visit while you are in Barcelona, like the historic Plaça Espanya, which is beautiful, and where you can get a direct bus to and from the airport as well as a trains to Montserrat, among other places. 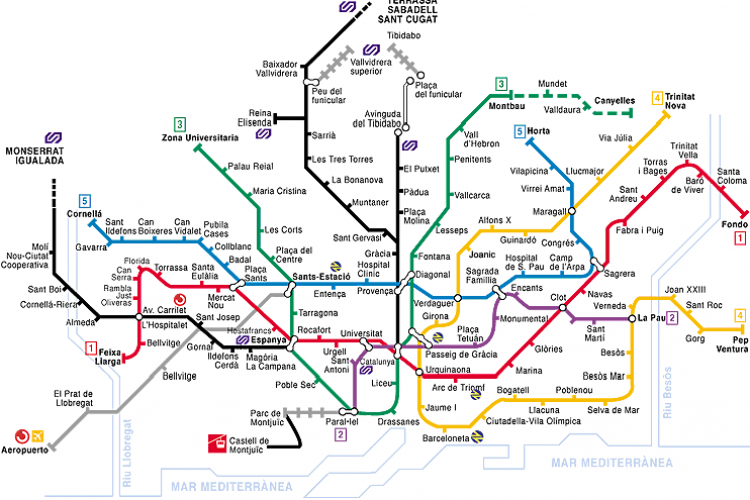 It is walkable to Palau Nacional Museum, Joan Miro museum, etc, and if you don't mind walking 15-20 minutes, you can even walk to Castle Montjuic, La Rambla, La Boqueria, Basilica de Santa Maria del Pi, and frankly too many places to list here. Being situated in the heart of Barcelona meant that not only were we able to walk to almost everywhere, but on our way to the destination we got to explore the old city and made several stops and detours. If walking is not your thing, the metro right outside will take you almost anywhere in the city. 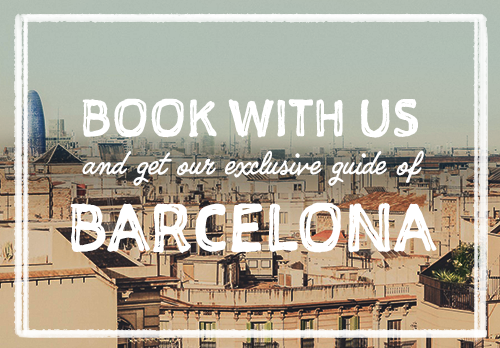 Overall, I would definitely recommend it if you are visiting or looking for a place to live in Barcelona. Coming back to the apartment after a busy day out in Barcelona felt just as relaxing as coming home, a feeling which a hotel room just can't match. It's cozy, comfortable and everything we were looking for and its central location makes it an ideal choice. We would love to come back here again. On 6/16, my family and I went on vacation to Barcelona. It was our first time in Europe. 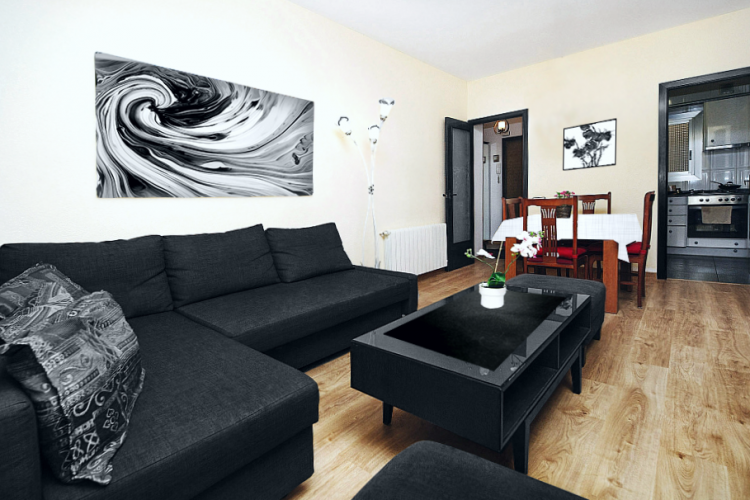 We stayed in a beautiful apartment in Carrer de Ricart 3. It was located right in the middle of all the action. Beautiful restaurants, bars and convenient stores were all at walking distance. The apartment was very nice, clean and spacious. I was traveling with my husband and 2 kids. Everyone has their own room with plenty of space to spare. We really enjoyed staying there. 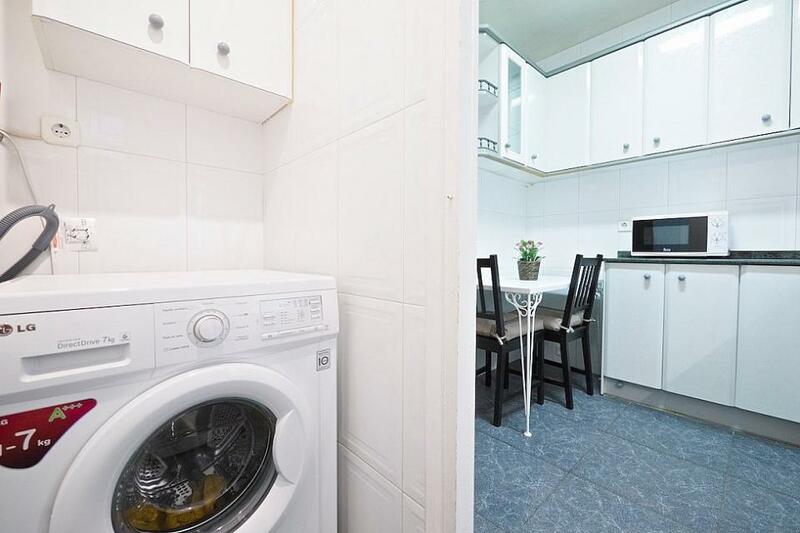 Never used an apartment for a holiday before but I will again when I come to Barcelona. The flat was so cosy, cool and comfortable. Hello Sam, thank you kindly for your review, we will be happy to welcome you back on your return to Barcelona. Greetings! El departamento se encuentra muy bien ubicado. Y muy cómodo. 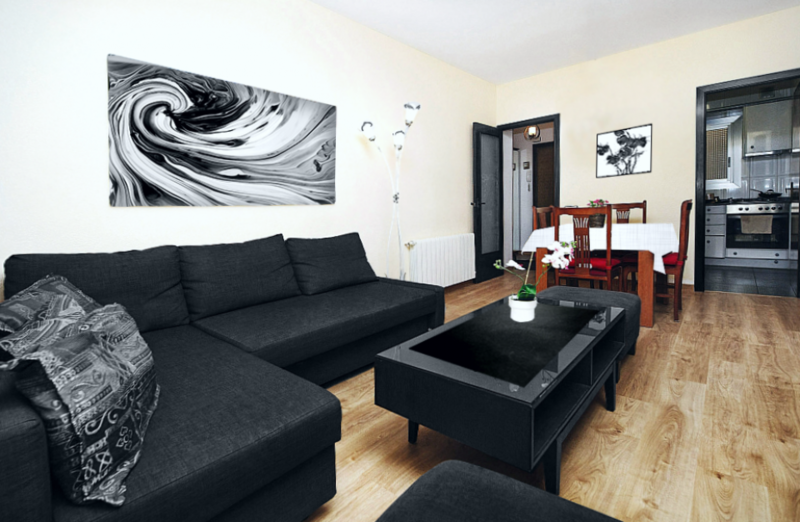 The apartment was extremely cozy and centrally located which made my stay in Barcelona extremely comfortable and convenient. The space was clean, well equipped and had everything I needed and the neighborhood was pleasant and quiet. 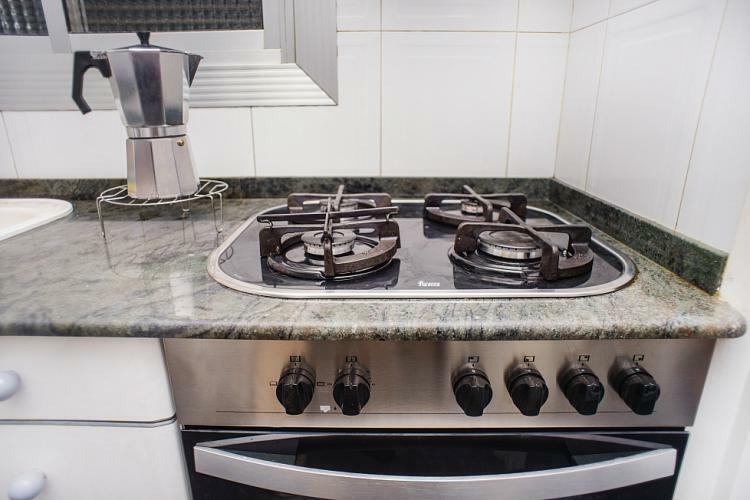 The location was convenient as it was close to grocery stores and the metro was right outside the apartment and only one stop away from plaza espagna. I would definitely stay here again!